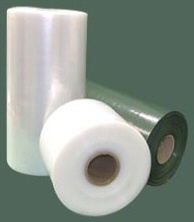 Shrink Film can be supplied as SWS (most popular), CFS, LFT and GLFT. The full width range is as per the following table. The majority of shrink films are low slip for ease of stacking etc. but high slip can be supplied if required. Dependant upon width and thickness, films with the shrink ratios covered by the following Technical Details can be supplied. 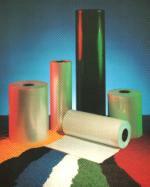 Again, this type of film can be coloured or micro perforated to meet any specific requirements. The shrink range and minimum order levels are on the following table. Products that have been shrink wrapped have the added advantage of having very little additional weight and any damage or “tampering” can quickly be identified. 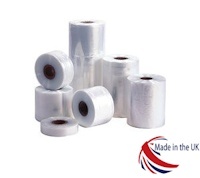 It is a secure and safe way of packaging and transporting a wide range of products. Most of our films can be treated to 38dyne for printing or adhesive application (or other reasons). LFT and GLFT can be treated 2 sides with SWS treated 1 side. Certain widths can be “strip treated”. Most of our films can be full faced micro perforated. This is ideal for shrink wrapping fully enclosed items. The perforations let the air escape as the film shrinks onto the pack then seal themselves. As a result no air is trapped and a tight pack is achieved. It is also useful when producing bags where the packaged product needs to “breathe” or let odours out.